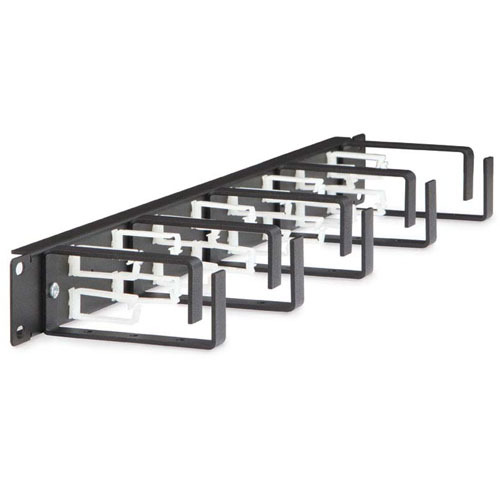 Five Heavy Duty Steel D-Rings: Steel, powder coated D-rings feature numerous through holes so that they can be installed to the rackmount panel vertically or horizontally. 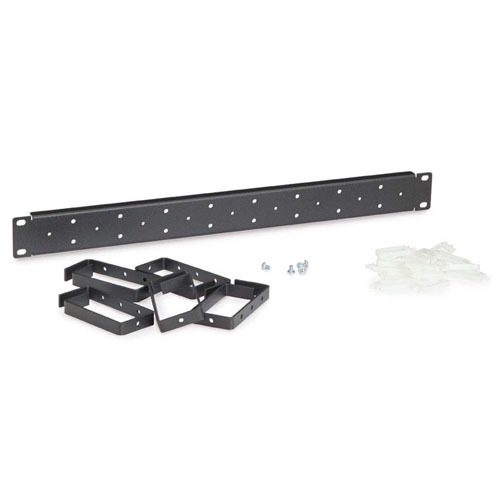 Pre-threaded holes on the mounting panel make installation a snap! 16 Flexible Nylon Clips: Latch gate style clips install with only fingertip pressure. The rectangular cable clips can be installed to run cables vertically or horizontally. 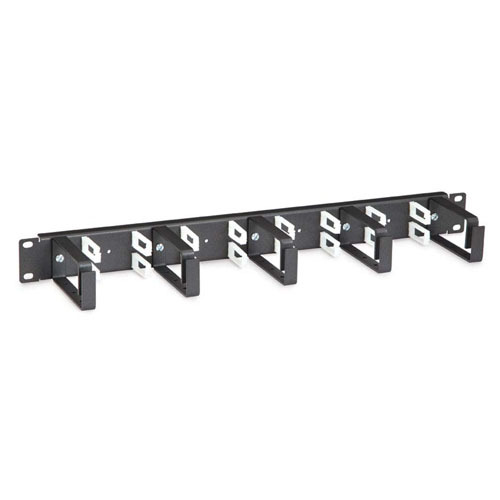 Flanged Support Panel: Rack mountable panel is flanged for added strength and durability. Universal Compatibility: Unique cable manager can be installed in just about any rack configuration. From 2-post racks, 4-post racks, and server enclosures, to wall mount racks, and cabinets.